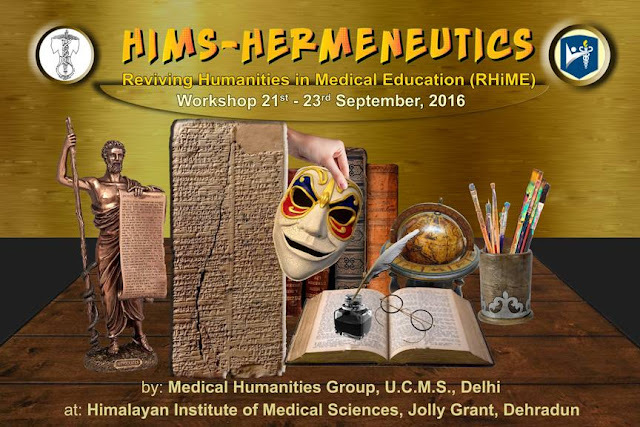 Our Medical Humanities Group of UCMS shall be conducting a 'Reviving Humanities in Medical Education' (RHiME) Workshop at Himalayan Institute of Medical Sciences, Dehradun from 21-24 Sept 2016. It will include Theatre of the Oppressed as well as Graphic Medicine. 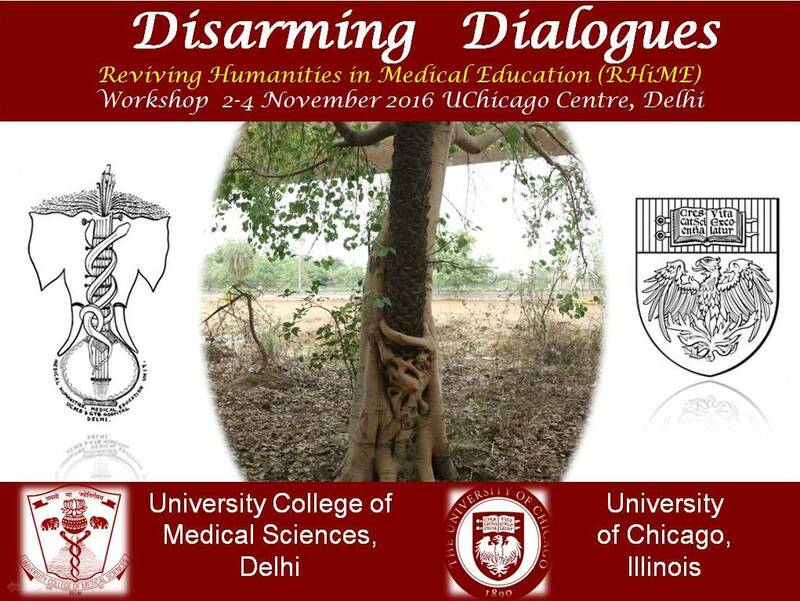 To spread medical humanities (MH), we have been conducting RHiME workshops. Our first one was at PSG Coimbatore in 2014, followed up by in 2015 at Jorhat Medical College, Assam. The third one was in Bharti Vidyapeeth Medical College, Pune and fourth one at Dehradun. If you see, the last three were all conducted at the cultural capitals of the respective States.